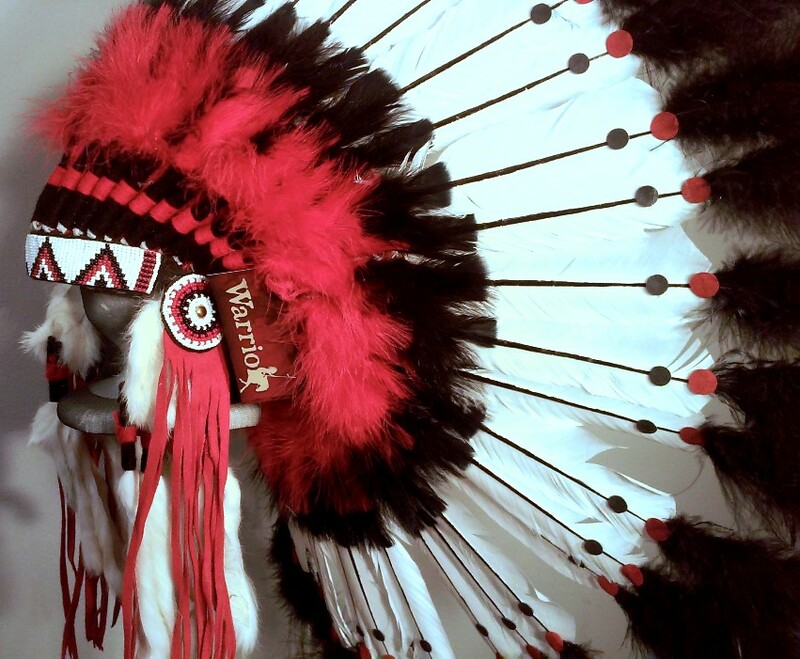 The DISTANT VOICES WAR BONNET is made using about 44 quality, white main feathers tipped with red & black spots, black feather fluffs & genuine horse hair. 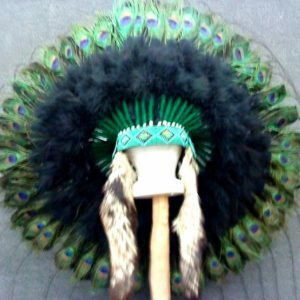 Each feather has been tediously painted by hand along the feather shaft. 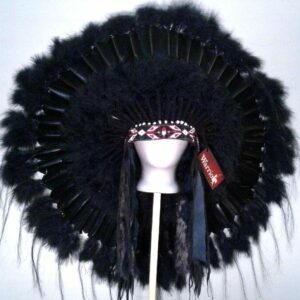 The feathers base is wrapped in black & red wraps & then hand sewn onto a felt skull cap which is covered in matching fluffs. 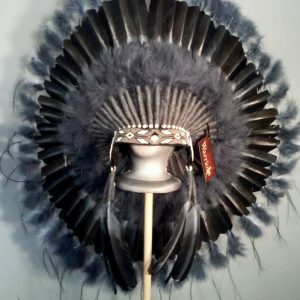 A single decorated honor feather is positioned in the middle of the skull cap in the back of the bonnet. Another thick row of red & black feather fluffs are aligned beneath the wraps. 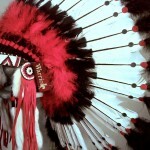 The beaded brow band & matching rosettes are beaded by hand. Strips of white rabbit fur wrapped in red & black accents are used for drops on either side. This bonnet is regal & commands respect. 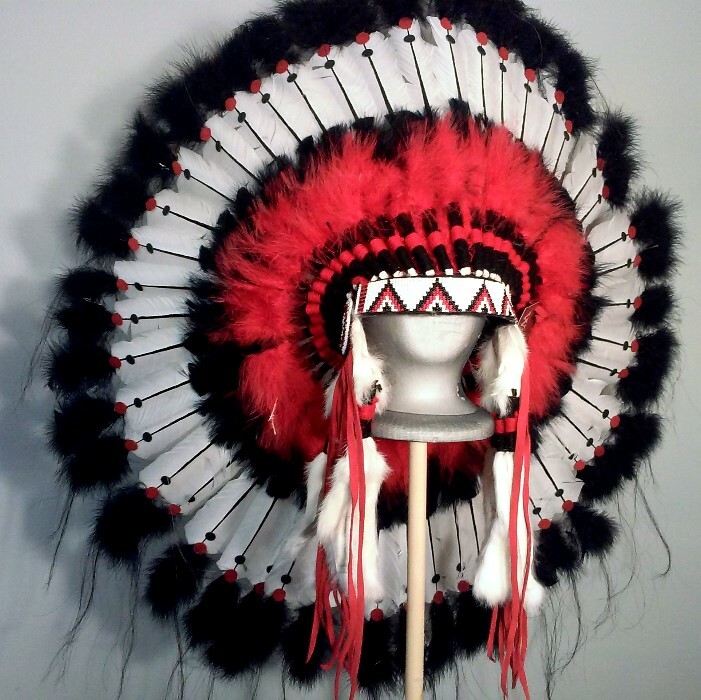 Display it with your collection or wear with your regalia. One size fits all. Pictures are representative. 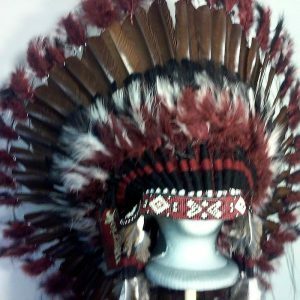 This item is not usually in stock & may take 1-2 weeks to complete before shipping. Feel free to contact us for an estimated ship date.